Brief Description: Reef-Resh Fuel is a unique fusion of organic carbon sources enriched with amino acids. It is a safe, and highly effective carbon-based bacterial food source that will steadily improve water quality. Notify me when "Reef-Resh Fuel [500 mL]" is re-stocked. RF-Fuel is a fundamental component of our 4-part System Reef-resh. We recommend using all components of this system to maximize the efficacy of this product. Using the a syringe, extra the appropriate amount of RF-Fuel based on the dosage chat. 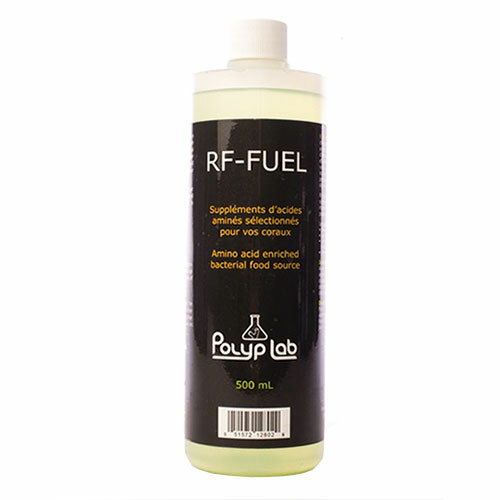 Dose RF-Fuel in the sump or an area of strong flow in your aquarium. 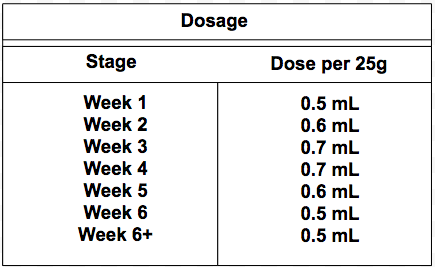 Dosage: For every 25G of system volume, use the chart to determine the correct amount of dose for your aquarium. For optimum results, dose this product during the day while lights are on.